YouTube is today rolling out a new experimental feature that could actually improve the way you stream content online: multiple camera angles. When enabled, you can select the camera angle you want from a series of thumbnails on the right side of the video. 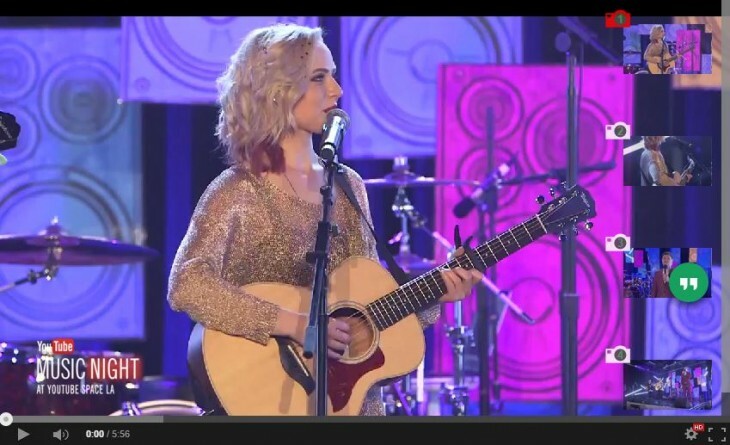 There’s currently only one stream for which the feature works for, however: a live performance by indie artist Madilyn Bailey from this year’s YouTube Music Night event. The tool shows up under a special “Choose Your View” tab on Bailey’s channel. Although YouTube isn’t the first to try something of the sort – online sports networks such as MLB.tv have implemented such features for a while now – this is the first time we’ve seen it from such a mainstream video host. Though we don’t know when the feature will be implemented more widely, it would potentially make streaming live events on YouTube much more interactive and give it an advantage over similar content on televised networks. Unfortunately, only users on a desktop browser and in the US can try it out, but if you’re a YouTube creator interested in trying the tool out, you can sign up to learn more here.